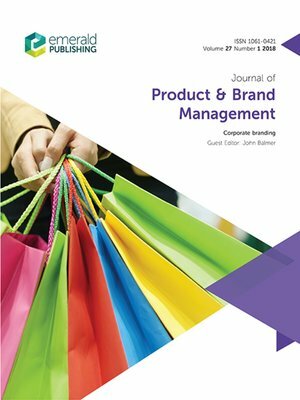 JOURNAL OF PRODUCT AND BRAND MANAGEMENT – Planned publication is early 2021. Deadline for submissions 1 September 2019.The Scholar 1 site will not open for submissions until 1 August 2019. The site will remain open for one month until 1 September 2019. Submissions to the special issue can only be made during this window and should be made by selecting the special issue from the drop down menu which will become available on 1 August 2019. The planned publication is early 2021. Binkhorst, E. and Den Dekker, T. (2009), “Agenda for co-creation tourism experience research”, Journal of Hospitality Marketing &amp; Management, Vol. 18 No. 2-3, pp. 311-327. Boyle, E. (2007). “A process model of brand cocreation: brand management and research implications.” Journal of Product &amp; Brand Management, Vol. 16. No. 2, pp. 122-131. Boyle, E. (2007) “A process model of brand cocreation: brand management and research implications”, Journal of Product &amp; Brand Management, Vol. 16 No. 2, pp.122-131.